Home > Originals > Going, Gazidis, Gone? At the time of publishing this article, rumours are rife that Ivan Gazidis will be joining AC Milan as CEO. 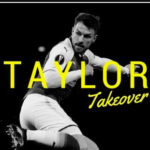 The Taylor Take Over looks at the structure Gazidis has started to implement at Arsenal. Will it continue with him or without him? This quote from one of the iconic movies of the last 20 years, The Dark Knight, could very well be used to summarise Arsene Wenger’s tenure at Arsenal. Will the same fate befall the man that wrestled the power from his departing hands, Ivan Gazidis? After years of shunning the limelight and media attention, we have seen more of Gazidis in the last couple of months than we previously had over the last decade. It is his structure now in place at Arsenal and he must be the one held to account for any failures or successes, even if he were to depart to AC Milan. I’m not satisfied. You need that constant pressure, that constant drive, striving to improve, get better and put everything out on the table – you need that. Will Ivan Gazidis stop with the structure he has in place or will he push for more additions to join his Arsenal revolution? There have been 10 different managers in the last 15 years at Stamford Bridge. The recruitment skills of Frank Arneson & Michael Emenalo always ensured that there were high-quality players available for the manager in charge at the time. Is Gazidis adopting this approach at Arsenal? It would be in keeping with his mantra for the club and personal preference for a structure that doesn’t rely on the individual. The title of Head Coach given to Unai Emery suggests that this may well be the case. Contrary to the consensus in the press as to who is dealing with transfers, many articles have the narrative that Unai Emery is the man, Sven Mislantit is responsible for recruitment at The Emirates. Will Gazidis seek to supplement Mislantit with some of Europe’s best young scouts and sporting directors? Liam Brady 62 is Arsenal’s Youth Coordinator. It is an area that can be improved upon. The U23’s had a good season and now have former Captain Per Mertesacker and former Invincible Freddie Ljungberg as Academy Manager and Head Coach respectively. The under 18’s had a good season but getting beat 7-1 on aggregate by Chelsea in the FA Cup final means that there is room for improvement. Brady is an Arsenal man through and through and understands the club better than most. He would be perfect to mentor and be a consultant to an exciting team of Youth Coordinators. Lyon and Ajax have well-renowned youth setups that we could seek to entice members off to the Emirates. Schalke, another team with a great youth set up have a couple of Youth Coordinators in Till Beckmann & Max Balster that we could offer an opportunity to. The possibilities are endless. Arsenal do not want their ability to recruit and develop quality players affected by the departure of Mislantit or any other individual. Wenger took Arsenal into the Emirates and changed the image and style of football associated with the club. Gazidis has an opportunity to build on those foundations and turn the club into something the fanbase has never seen before. A combination of all the components that make other famous European clubs, Ajax, Chelsea, Bayern, and innovative clubs, such as the Red Bull Projects at Salzburg and Leipzig and Monaco, successful, rolled into a progressive new age Arsenal. Putting this kind of structure in place at Arsenal would make for an easy transition to the next head coach. Most of Europe’s Head Coaches all work under this system. Emery himself worked under one of the best Sporting directors in Monchi, at Sevilla. Should Gazidis back up all his talk with actions. There could be exciting times ahead at The Emirates. Could the Gazidis Era better the Wenger Era? Wenger left a legacy at Arsenal, as did David Dein. What kind of legacy will Gazidis leave behind? Or will he jump ship to Milan just as he got the keys to the castle? All pertinent questions, only time will tell what the answers will be. 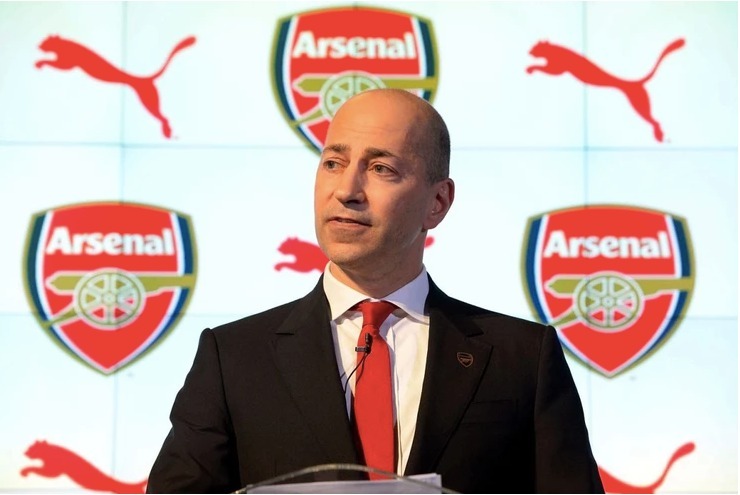 Are you happy with what Ivan Gazidis is doing and what would you like to see happen next? If anything at all.